If your family is like ours, we love to get outside any day we can after being in the house all winter! Some parks can get quite muddy on these Spring days. 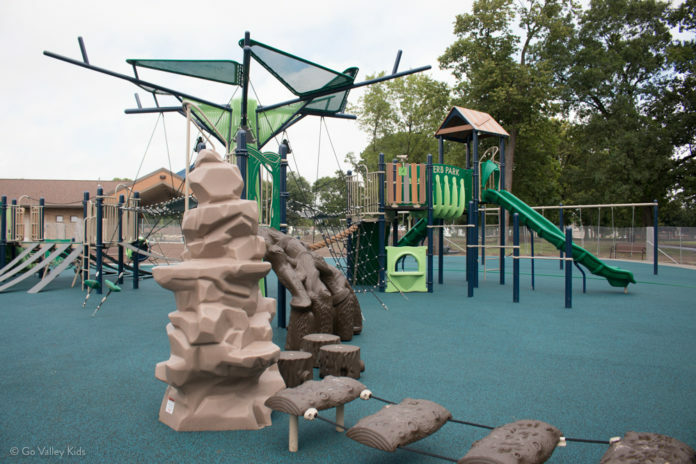 Head out and check out these 5 parks that have the soft rubber ground and are less likely to have puddles! Erb Park was updated in Summer of 2017. Great for climbers and older kids. Derks Park is often referred to as the “Target Park,” because it is located right behind Target on Kensington Drive in Darboy. A great park for little ones and has 2 nice big fixtures. 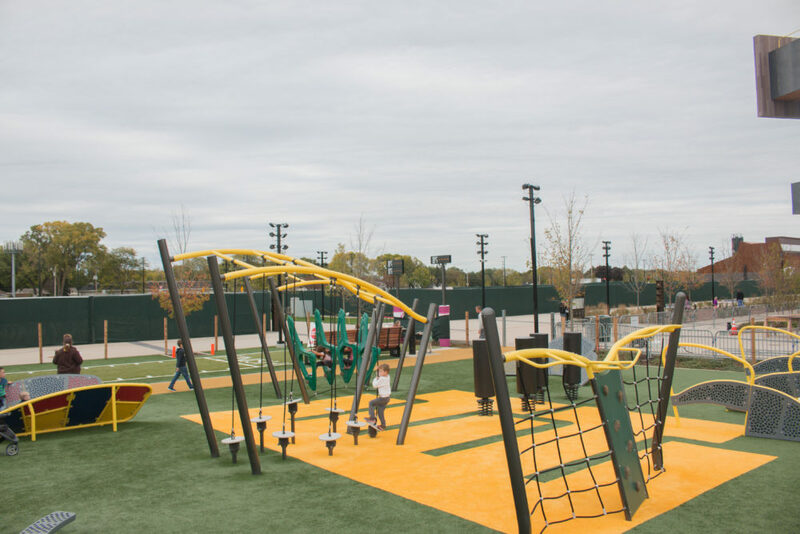 It also has lots of green space and nestled far enough away from the road for younger kids. This park has a little walk over a bridge from the parking lot. Its a huge park and at times can get busy. 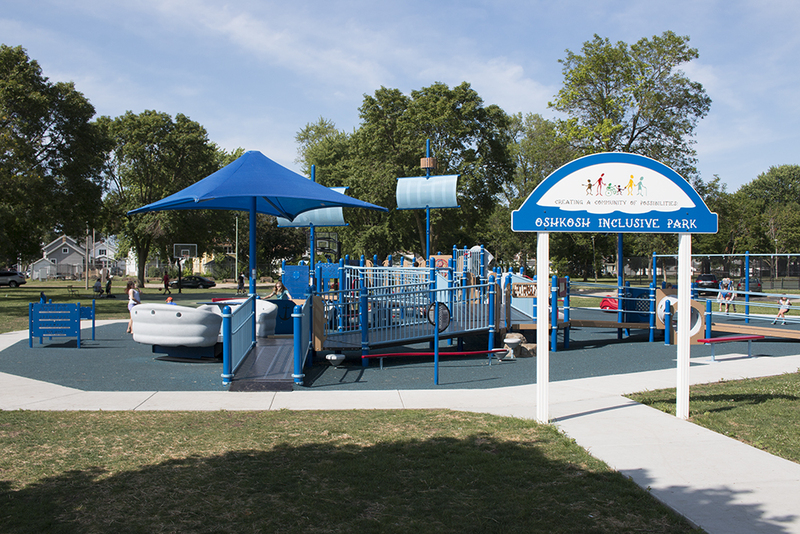 We enjoy this park because it has a lot of great things for a variety of ages. Sometimes its easy to lose your kids in the structure. It also has a fun “pipe slide.” Make sure kids put their hands in the air to avoid pinching little fingers. We also like walking over to the pond to watch the geese. 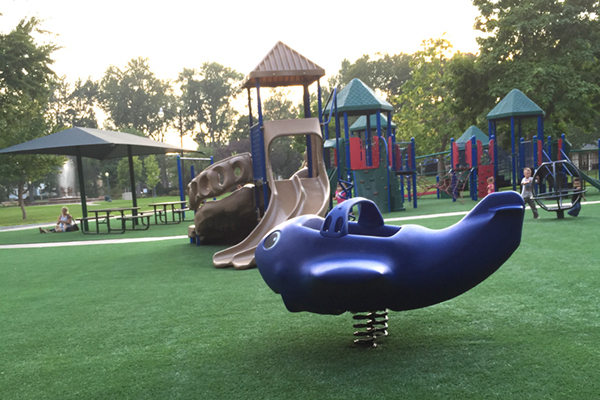 This Little Chute park is great for little ones. There is also a little plastic structure as well but it does have wood chips. If you need a break from the park, there is a nice little hill to roll down! Riverside Park or “The Rocket Park” is unique fun park that features a multi-level rocket ship. This park makes me a little nervous with my 2 year old but is great with bigger kids. Its also a perfect place for a picnic or walk along the water. This is a great park for little ones. There is a huge sandbox that is a little hard to avoid if your kiddos like playing in the sand. One advantage of this park is its neighbor is Houdini Elementary School. If you need a break its a short walk along a trail. Houdini’s park does have wood chips. Lots of great things to explore and the beautiful fountain in the summer. Just a reminder, most bathrooms are open May 1st – October 1st. 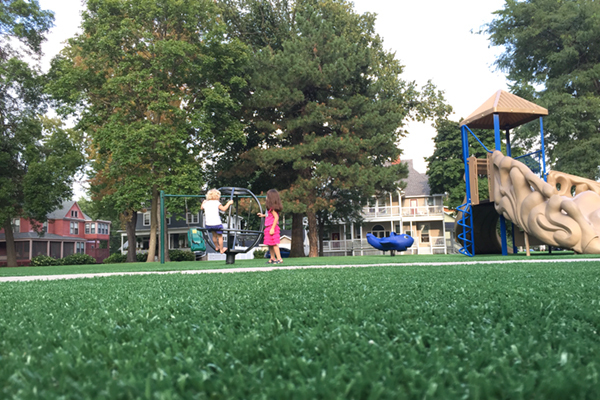 Also check out this great park resource with nice 360 views by a local Dad. 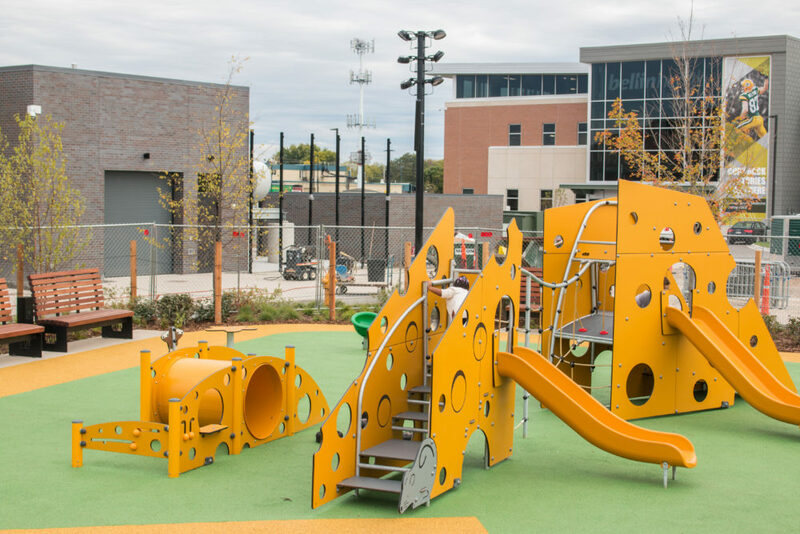 Previous articleNeenah Splash Pad to Open Summer 2019! Next articleHurry! Registration Required for these 2019 Easter Egg Hunts!